The Crown DVD box set includes both seasons of this great show that follows the political rivalries and romance of Queen Elizabeth II's reign and the events that shaped the second half of the 20th century. The British Empire is in decline, the political world is in disarray and a young woman takes the throne...a new era is dawning. Queen Elizabeth II is a 25-year-old newlywed faced with the daunting prospect of leading the world's most famous monarchy while forging a relationship with legendary Prime Minister Sir Winston Churchill. 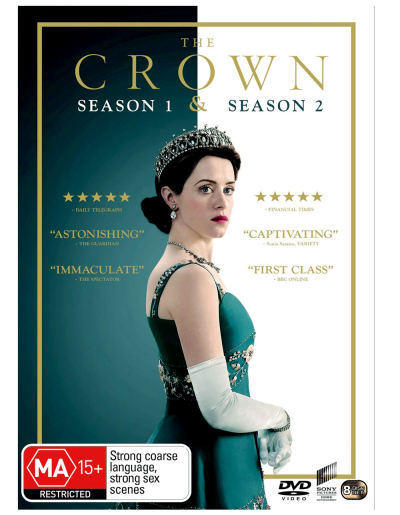 Click the button below to add the The Crown - Seasons 1-2 to your wish list.